Your eyes are as unique as your fingerprints. So it only stands to reason that your contact lens needs will be unique too. The team at Stoney Creek Eye Care & Eyewear Boutique works with you to find the best possible contact lenses to fit your eyes comfortably and give you the best possible visual experience. Request an appointment for your contact lens exam. Why Do I Need a Contact Lens Exam? Even if you’ve had a comprehensive eye exam recently or you’ve had contact lens before, it’s important that we perform a specific contact lens exam to ensure you’re a good candidate for lenses and your contact lens prescription is up-to-date. 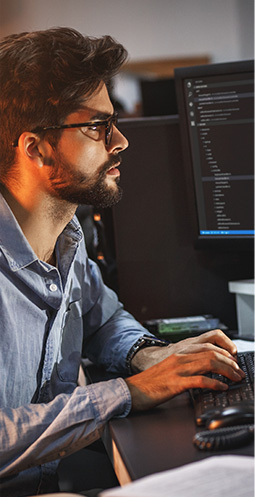 It also gives us a chance to inform you about new products available and allows you the opportunity to ask any important questions you may have. Before we can provide you with the right contact lenses, we have to make sure that contact lenses are an appropriate solution for you. 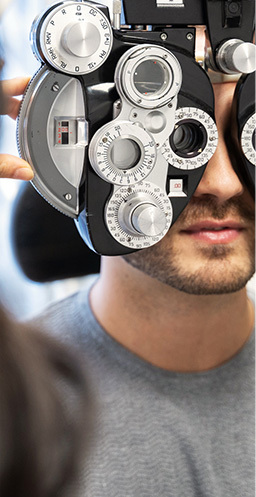 That means performing an in-depth exam to evaluate the health of your eyes, making sure that you don’t have any ocular health conditions that might make contact lens wear difficult or unsafe. Perhaps you’ve been told in the past that you are not a good candidate for contact lenses or we find a condition that makes contact lens wear more difficult, not to worry. 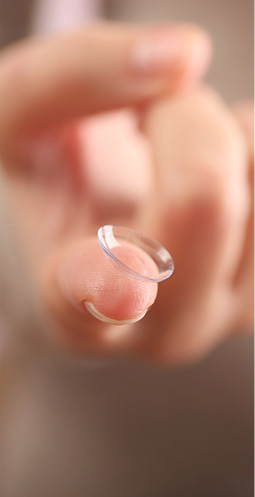 There may still be some contact lens options available for you. Scleral lenses, for example, are often used for patients with dry eye disease, irregular astigmatism, or keratoconus. Once we’ve confirmed that you’re a good candidate for contact lenses, it’s time for your fitting. This is like being measured by a tailor for a new suit. We’ll take very precise measurements of your eye, calculating your exact prescription. This helps us find the contact lenses that will give you the most comfortable and effective fit, and clearest vision. Now it’s time to try out some contact lenses! Using all the data we’ve collected so far, we will provide you with the contact lenses that we think will give you the most comfortable fit and the best results. You’ll take a sample pair of these lenses home with you to try for a few days. If they work properly and fit comfortably, we’ll give you a prescription for them and order a supply for you. If they don’t seem quite right, not to worry. We’ll try again until we find the ones that work best for you.